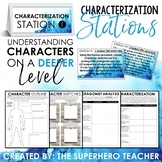 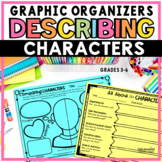 Character Traits and Describing Character Graphic Organizers Use these 18 fun and visually appealing graphic organizers to help students think deeply while describing characters in a story. 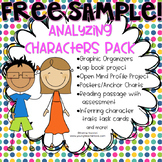 These printables are not only cute and attractive, but they will also enable students to analyze characters. 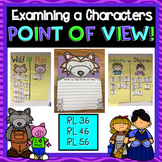 Close Reading; Character Traits - Analyzing Characters is a GREAT LESSON for getting OBSERVED!!! 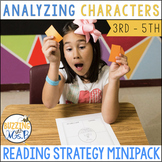 Each student gets a lesson guide, a story at their level (or teacher’s choice of story) and a coordinating response sheet/template. 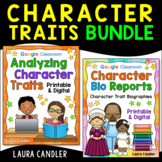 Bundle up these items and have them ready to go at a moment’s notice! 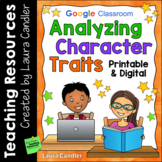 Have your students use this character report card to analyze characters from fiction or biographies. 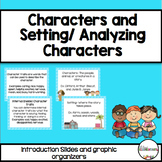 Ready to go - just print and go :) Have fun teaching! 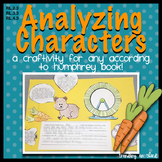 Analyzing Characters: A Craftivity for any According to Humphrey Book! 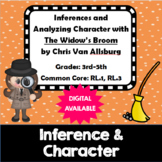 This Cat has Character- Analyzing Character with the Cat in the Hat!